An enigmatic escape into a picturesque island is something is on the top of the travel list for most avid adventurers. A gentle breeze from the sea, creating soft waves as you lay on softer sand is a heavenly experience. An island is nature’s own resort that has all the comforts you can even imagine- solitude and peace being the most exclusive offers. India, with his wide geographical varieties enable travelers to avail such a magnificent experience. And Port Blair in Andaman & Nicobar Islands is the top choice. The capital city of this union territory is a highly revered place to enjoy the treats of an island vacation. From history to culture to the captivating beaches, this place has it all. To incorporate the true vibe of Port Blair in the limited duration of your trip, be sure to visit the following places that typify the Port Blair experience. Famous for: History, Freedom Struggle, Revolutionaries, Memorial. Tickets: 30 INR per person. Opening Timings: Open all days except Monday from 9 am to 12:30 pm & 1:30 pm to 4:45 pm. 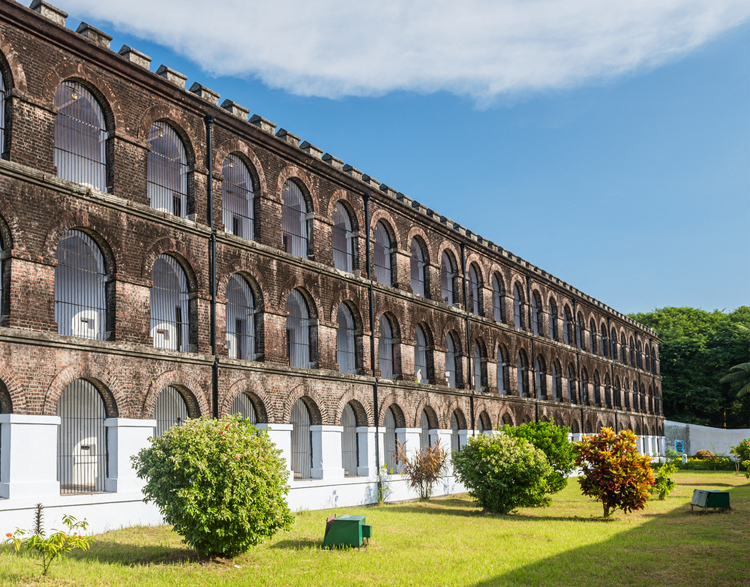 The cellular jail is a place that will remind you of the trials and ordeals of the colonial era that India witnessed. This is the place where political prisoners were captured and nearly abandoned to live in inhuman conditions for years on end. The place is popularly known as Kalapani and the biggest attraction of this place is the light and sound show that happens by the Peepal tree. Take a tour of the place. View the Port Blair lighthouse. Famous for: Marine Life, Beaches, Islands. Tickets: 50 INR per person with extra 25 INR for cameras. Charges separate for boat rides. The Wandoor Beach is often as the best beaches in Port Blair, the peace and quietude that it offers are some of its many highlights. The place is also regarded highly by travelers due to the Mahatma Gandhi Park that showcases the rich marine life of the island, and also actively protects it. One of the best activities here is the riding the glass bottom boat, that shows you the entire marine wildlife right under your seat! Famous for: History, World Wars. Opening Timings: Open 24 hours. 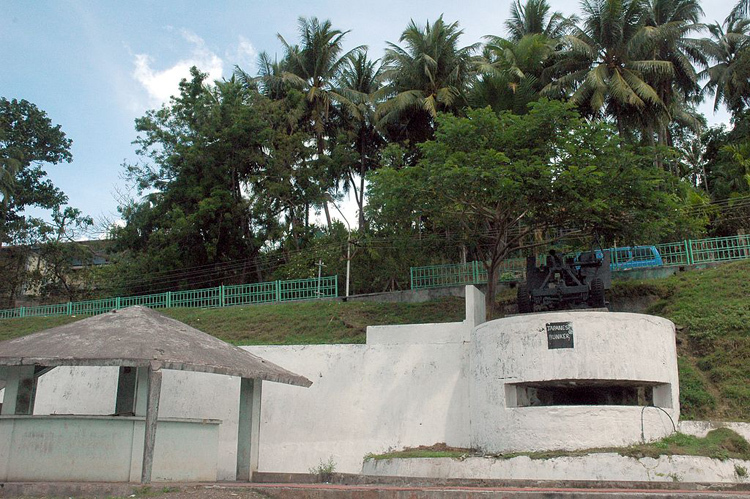 A peek into the World War II can be obtained at Port Blair. The Japanese Bunkers stand testament to the kind of protection that was necessary during a time of falling bombs and bullets. These bunkers are situated near the Corbyn’s Cove and are places of high historic importance visited by many. Tickets: 10 INR per person and extra charges for guides. Opening Timings: Open Daily from 8:00 am to 2:30 pm. Set up by Britishers in the year 1883, Chatham Saw Mill is still operational and provides employment to the locals. There is also a museum here which depicts the history of this place. An educational tour regarding the working of the factory and history is available here. Interestingly, there is also an bomb crater left by the Japanese during the second world war. Relax at the many cafes. Shop at the wooden souvenir shops. The reason why most people plan an island vacation is to escape to the picturesque surroundings offered by beaches. Corbyn’s Cove is beauty personified for such travelers. The place is perfect to spend a lazy afternoon by the beach, chatting and connecting with your loved ones, against a serene backdrop. Famous for: Birds, Picnic, Nature. Opening Timings: 6 am to 5 pm. Beckoning all nature lovers through its melodious chirping, the Chidiya Tapu is a must visit place near Port Blair. The island houses fifty varieties of indigenous birds who will keep you mesmerized by their color and melody. The place also has a famous picnic spot, where you can sit and enjoy the gentle sea breeze as you witness an unforgettable sunset, coloring the waters in all hues of reds and oranges. Beware of crocodiles. Famous for: Indian Navy, Marine life. Tickets: 50 INR for adults and 25 INR for children. Opening Timings: Daily from 9am to 5pm. If you’re looking for a unique experience encapsulating both culture and nature, this museum is the place to be. The Samudrika Marine Museum, maintained by the Indian Navy houses numerous varieties marine life that will put you in awe, due to the sheer diversity of creatures that is present hidden beneath the calmness of the sea’s surface. A magnanimous skeleton of the Blue Whale greets you at the entrance. The museum also showcases the life and culture of the indigenous people. Visit a mini zoo for saltwater crocodiles. Tickets: No entry tickets. Extra charges for water sports. Opening Timings: Open daily till sunset. Becomes a ‘No Man’s Land’ at night. 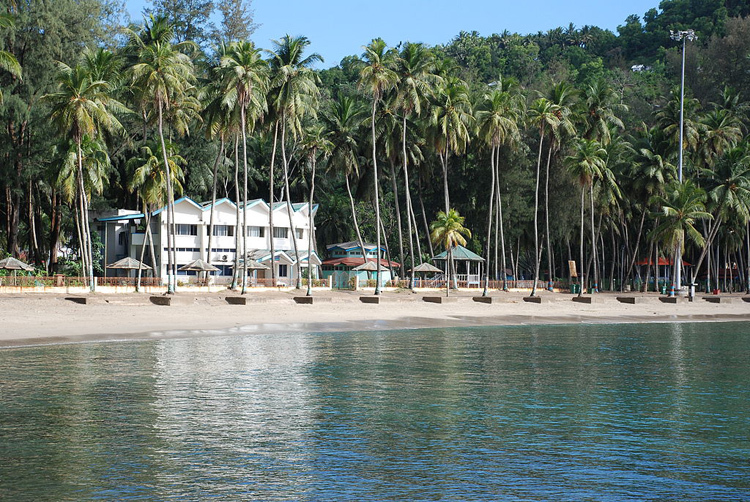 A magical island present a few miles from Port Blair, this is the hub of adventure lovers. In the midst of the dazzling surroundings, the North Bay Island provides numerous opportunities for trying a number of thrilling water sports. In the recent years, this place has been heavily commercialized and remains crowded during tourist seasons. An interesting thing to note is that this beach along with the lighthouse here is featured on the back of twenty rupee note. Tickets: Boat Ride cost to the island cost about 750 INR per person. Duration: Visit allowed for not more than 3 hours. A happy island, the Jolly Buoy Island makes you witness many marvels of nature. The island is a storehouse of lovely corals and is therefore strict precautions are taken to preserve them. Special permits are required before travelling here by the forest department. Famous for: Flora, Fauna, Trekking. Tickets: 25 INR for Adults, 10 INR for children, 250 INR for Foreigners plus extra 25 INR for camera and 10 INR for vehicles. Opening Timings: 9 am to 5 pm. 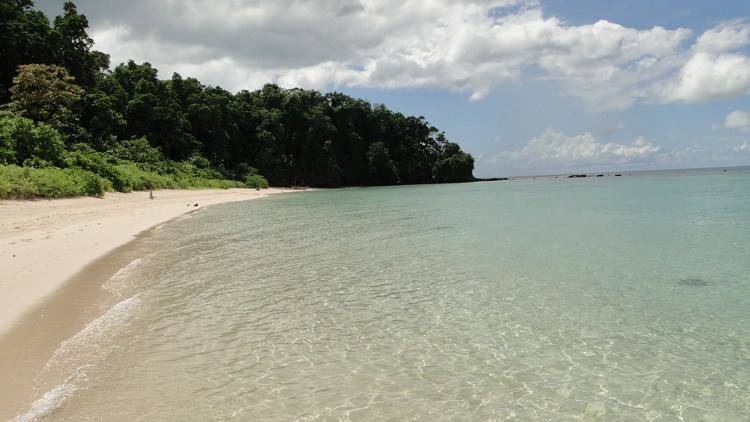 The highest point of south Andaman acts as a gateway to heavenly views of nature. You can enjoy an exciting ride of the ferry to reach the peak, from where an abundance of treats await your eyes. 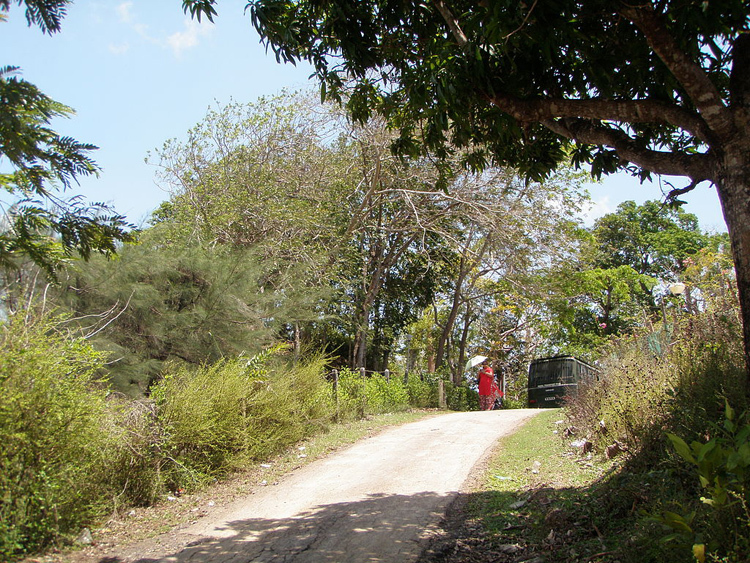 Mount Harriet can be explored through a trek through the Madhuban jungle. Famous for: Anthropology, Tribes, History. Tickets: 10 INR per person. Opening Timings: Open Daily except Mondays from 9am to 1 pm & 1.30 pm to 4.30 pm. Anthropological Museum depicts the lives of the indigenous people of Andaman and Nicobar Islands. It showcases four negrito tribes of Andaman namely the Jarawas, Sentinelese, Great Andamanese and the Onges and two Mongoloid Tribes of the Nicobar. It depicts their culture and their evolution to the present times. This museum is a good step to raise awareness about the declining population of these tribes and their mistreatment by the visiting tourists. Shop for Souvenirs at the museum shop. View the Gandhi Statue memorial. Opening Timings: 9am to 1pm. Walkthrough the smell of fresh leaves and vibrant potted plants at the Sippighat Agricultural Farm. The place is a must visit for nature lovers, who would be greeted by exotic and indigenous varieties of plants, each speaking its own language of beauty. The different shapes and shades of leaves would entice anybody into spending an entire day exploring this eighty acre farm. Take a trip to the Mahatma Gandhi Park. Visit the SAI water sports complex. 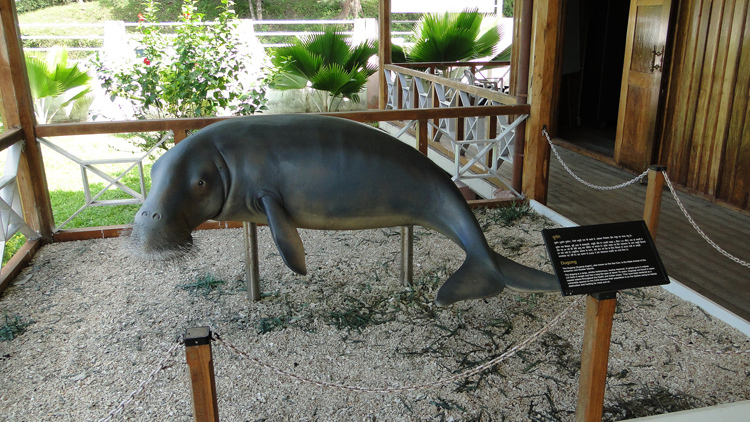 Other nearby attractions are Zoological Survey of India Museum, Fisheries Museum and Forest Museum. Port Blair brings a breath of fresh air in your life, as you connect so closely to nature as well India’s past. It transforms you into a world of serenity and joy, where one is mindful of each moment spent, and all moments are cherished. Head over to this beautiful capital with your loved ones for an unforgettable journey.